Start your own rental business. Your perfect backyard event starts here. Tent & Party Rentals For Your Next Event. Friendly, honest, professional tent and party rentals since 2008. We offer tent packages, table and chair rentals, dance floors, and more. Why are we different? We specialize in small, "backyard" parties at your home. Most tent companies try to do large weddings and corporate events. We serve small, backyard parties so our tents and prices are perfect for your backyard event. For your convenience, we offer packages based on the number of guests you're expecting. All tent packages include white, high-peak tents with white chairs, round tables and long tables as well as delivery, installation and removal. The 40 person package includes a 20x20 high-peak tent, with (4) round tables, (40) white folding chairs, and (2) long tables for food/gifts, plus delivery, installation, etc. The 60 person package includes a 20x40 high-peak tent, with (6) round tables, (60) white folding chairs, and (3) long tables for food/gifts, plus delivery, installation, etc. The 80 person package includes a 20x40 high-peak tent, with (8) round tables, (80) white folding chairs, and (4) long tables for food/gifts, plus delivery, installation, etc. Check our online reviews to see what our customers say about us on Google, Yelp! and The Knot. — Dawn F. - Norwood. 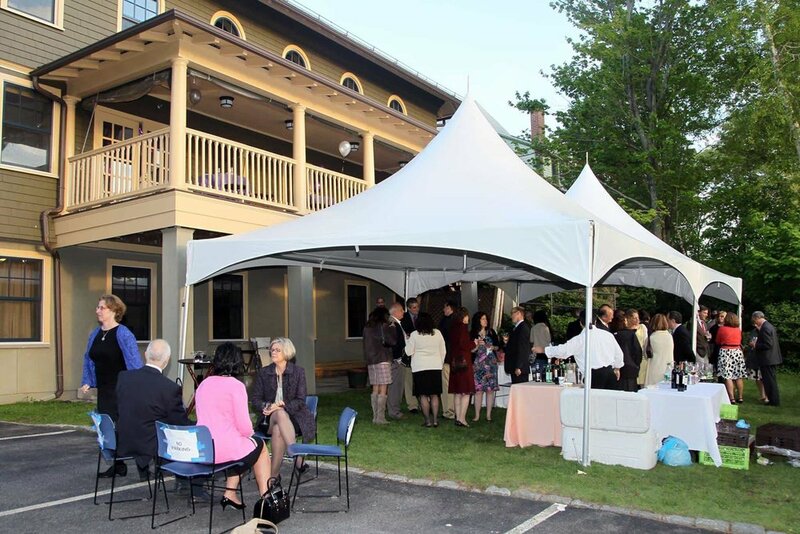 Backyard Tent Rental - tent rental packages serving the Boston area. We rent tents, tables, chairs, chuppahs and more to Newton, Wellesley, Wayland, Weston, Burlington, Bedford, Lexington, Needham, Dover, Sherborn, Reading, Arlington, Waltham, Watertown, Natick, and all around greater Boston. We have another location, Backyard Tent Rental - Bridgewater, which services the South Shore / South of Boston area. Rental Website & Marketing powered by Recipi - grow your rental business.